I wasn't able to get to an acceptable price either, but I'm actually happier that you got it. I've got a lot right now. At least I know it will be preserved. Love that blue ripple kit. Did you get that from Vinnie at vintagedrumbug. I recall he had something very similar and I was tempted by it. If so, I'm glad it landed where it will be kept in good shape. Congrats either way! Ploughman, been a while since I tapped your expertise. I just bought, not yet received, a 1962 Festival set in Blue Sparkle. Some of the BnB lugs have been repaired, others not yet. 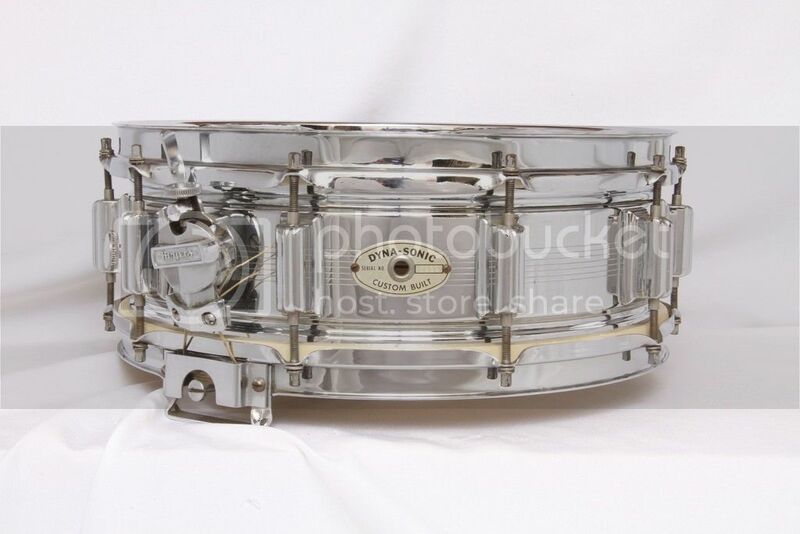 What are your thoughts of the 1962 drums? In the scope of Rogers history, is any year considered the "best?" I was really torn because while BnB are pretty, Beavers are reliable. Love to hear your feedback. Sorry, I can't figure out how to post a picture. He called it White Swirl, from Dayton. I stumbled on a white ripple kit. I've sent a request for more info ie: Dayton or Cleveland. It has BT lugs. 3 pcs. Ask is $700 which seems a little high. Is this a pretty collectable kit? I don't recall seeing white ripple before. PS: I ended up getting the '66 7 line. Love it. I;m buying a 7 line with beavertail lugs and swivel strainer. $375. The guy is kinda local and offered me a 7 line clockface with BT lugs for $500. I did't want to spend $500 but is that the holy grail of Dynasonics and will regret it forever?? please advise. Hi! There is a guy named George Lawrence on the Rogers Drums facebook page who is looking for someone to write about Rogers for Not So Modern Drummer. I immediately thought of you so I'm just throwing his out there. Thanks for sharing your knowledge!